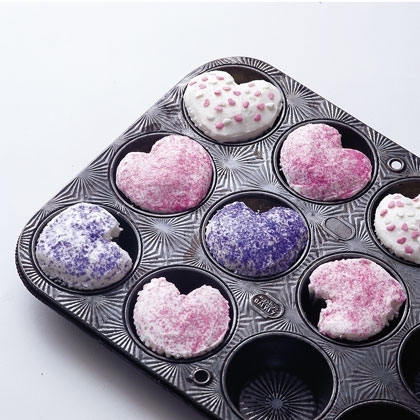 A few years ago I found a tutorial for making heart shaped cupcakes without a special cup cake pan. You just used a marble to create the 'dent' at the top of the heart. 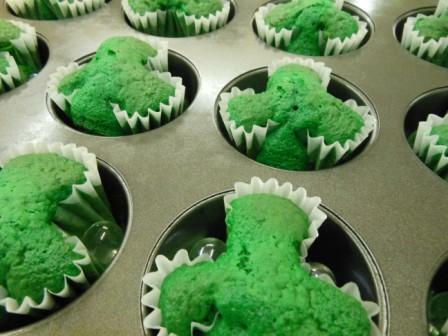 And you can use the same idea to create shamrock shaped cupcakes too. If you head over to Easy Cake Decorating for the details and a cute way to decorate them too.